The CData ADO.NET Providers for SharePoint you to integrate live SharePoint data with other applications. 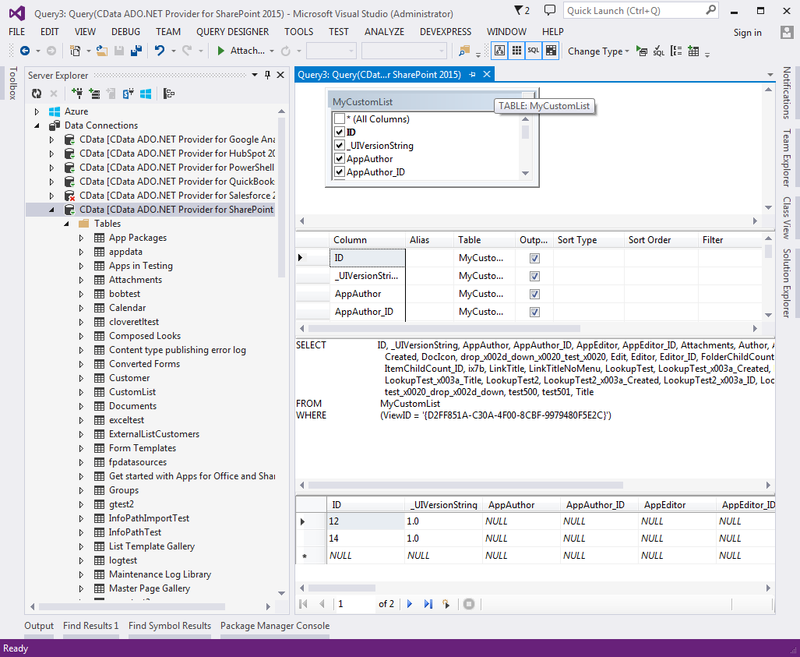 For example, Visual Studio provides built-in support for ADO.NET data sources. 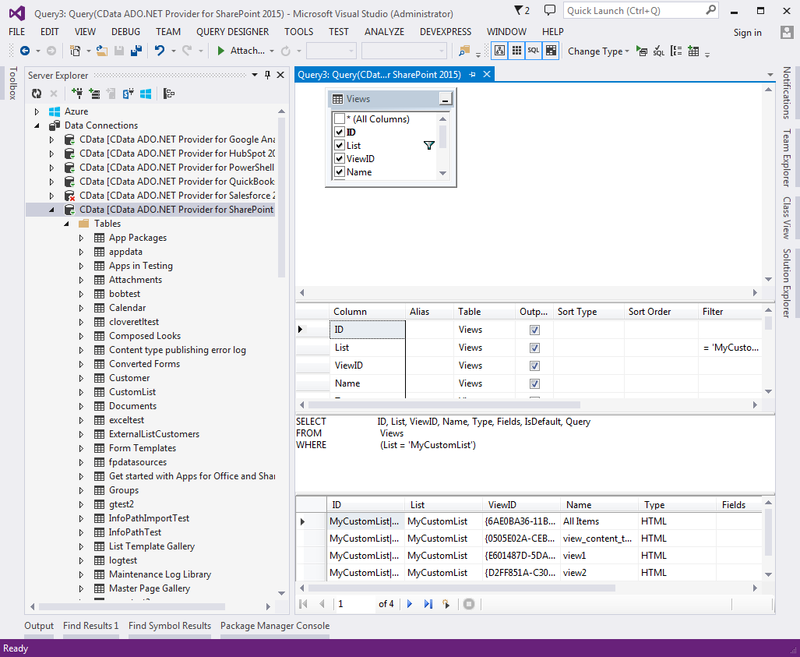 This article shows how to use Server Explorer in Visual Studio to access the data screened by a SharePoint custom view. If you have not already done so, establish a connection to SharePoint: In Server Explorer, right-click the Data Sources node and click Add Connection. See the "Getting Started" guide chapter in the help documentation for a guide to the required connection properties and how to set them in Server Explorer.